When it seems that monthly bills and other necessities are eroding your finances, you might think you need to put off fulfilling your need for better home draperies, shades, blinds, or shutters. Here you couldn’t be more wrong! As Nassau County’s premier provider of fine window treatments, we make the process of planning, selecting, measuring, and installing your new coverings cost-effective and hassle-free. That’s why we are happy to offer you FREE estimates on design consultation, measuring and installation, and window treatment consultations before you select and we make and install your rooms’ new treatments. Are you keen on valances or Roman shades? Perhaps insulated draperies are your answer for chilly Long Island winters. As we have many years of experience selecting, cutting, and installing window coverings, our free estimate to you will accurately help you plan your home decorating budget so there will never be any hidden gotchas when you go with draperies and more from Creative Window Coverings. Your free initial consultation with our design team will take into account not only what you desire to spend on your new window treatments but such essential matters as your home’s dominant architectural style, as you would treat the windows of a Victorian home differently from those of a space-age ranch house, the rooms’ various color schemes and textures, so your window treatments will offer complementarity and, if desired, contrast, and how much heat and natural light come into the room so we can explore insulation options if necessary, as well as sun-resistant fabrics. With such personalized attention, meticulous detail, and eminent affordability, there is no more reason to put up with badly dated or worn window coverings any longer. 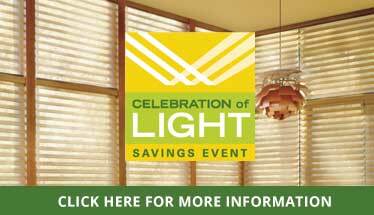 Get started now on having the window treatments you’ve always wanted. Please contact us or stop by our showroom at 228 Merrick Rd. in Oceanside, NY soon for your free estimate. We are open Tuesday through Saturday to make your interior design vision a reality. We serve Rockville Centre and the rest of Nassau County.